“We can’t tell you who we are. Or where we live. It’s too risky, and we’ve got to be careful. Really careful. So we don’t trust anyone. 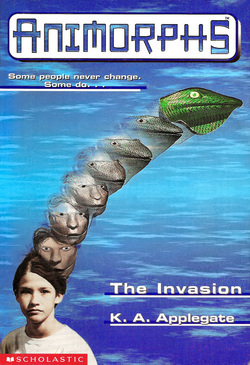 Because if they find us… well, we just won’t let them find us..
Hi there, and welcome to what I like to call ‘If Its Possible, Why Not?‘ Where I will attempt to explore ideas to bring back older material like K. A. Applegate’s Animorphs and make them as a comic book or otherwise. And so with that said, let’s get this started! I’d also like to thank ReuBen DeBord and his ‘If its broken, they will not fix it‘ articles as the inspiration for this. So here’s a little something that recently came into my mind. And no, its not about Johnny Storm being black in a new Fantastic 4 film or some other random thing I could think of to say. But anyways, Animorphs recently popped up into my head after I decided to try and get a conversation going about the book in a group on Facebook. And I succeeded fairly nicely, and at the same time I wound up thinking about writing something about the title. For those of you who remember this title and its fairly short lived live action T.V. Show, kudos to you! And if you don’t know what I’m talking about, what the heck were you doing back when this was all going down!? I don’t think sparkly Twilighty happenings were going on so it couldn’t be something like that. Since the first book came out in 1996, Sparklyness couldn’t have been a reason. Looks like Ax is about to go strollin’ around as a human! Ah, oh well… I’ll wonder about all that some other time. 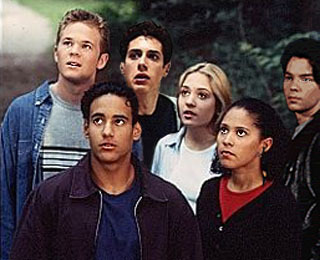 And if you’re wondering still on just what the Animorphs are, think Power Rangers. But instead of having some giant floating head in a tube giving you powers and what not with a cool robot servant near by. Its more about 5 kids, and later an alien teen who’s race is known as the Andalites named Ax who joins them. (Ax’s name is actually a little longer and just what you might expect an alien name to sound like, but I’m just going to use his shortened name). Ax’s brother who’s known as Elfangor gives the 5 kids the power to morph into any animal or human by absorbing their DNA during his final moments after being wounded thanks to some fellow aliens known as Yeerks. Which are basically worm like creatures that can crawl into your ear and control your brain. Readers later learned in the series that Elfangor some years prior to this got around with a lovely Earth girl. Which later leads to an interesting development for a member of the group and for Ax as well. Now I know that’s not exactly part of the premise of the story, but I figured I’d just throw that in there because I’m cool like that. Now as far as I know, this never got the comic book treatment. Which in all honesty, would have been cool to see. And might have faired a bit better then the live action show did. Which makes me wonder how a full on live action movie might have done. Cassie morphing into a Yeerk. Eww! An animated version of the show probably would have been just as sweet too. But whether or not it would be a bit more for the kids then older teens is another thing. Though I would hope it would be more for older teens and the like then kids since the books did touch on some fairly serious topics. Like Cannabalism to a certain extent for example. And from what I vaguely remember, the T.V. Show never did touch on the Taxxons, that whole cannabalism aspect as mentioned before might have had something to do with it. Granted, I could be wrong as until recently I didn’t even know the series had two seasons, where as I thought there was only 1 season. Yay for looking up information on Wikipedia! 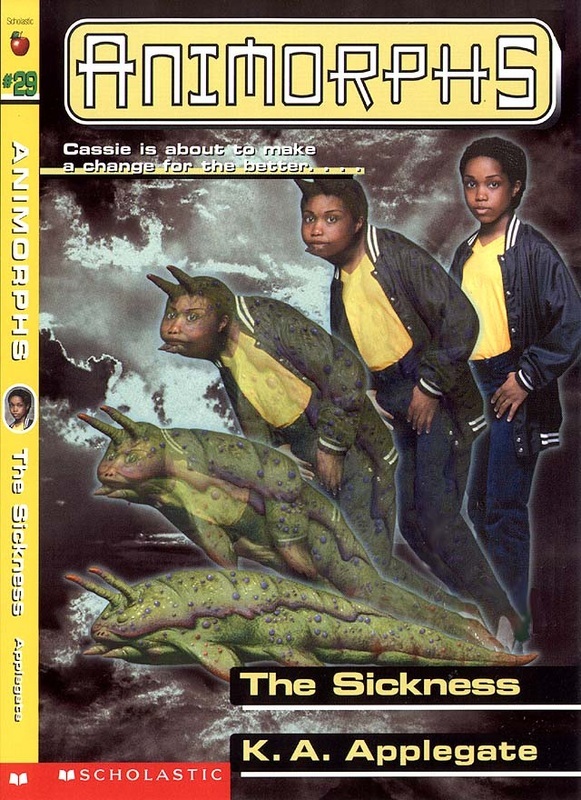 As for what publisher would do a good job with the Animorphs as a comic? Perhaps IDW or Image would be the ideal choices. IDW because they do well known characters really well. Ghostbusters and the recent Powerpuff Girls comic being two prime examples. And Image because they kind of specialize in abnormalty. 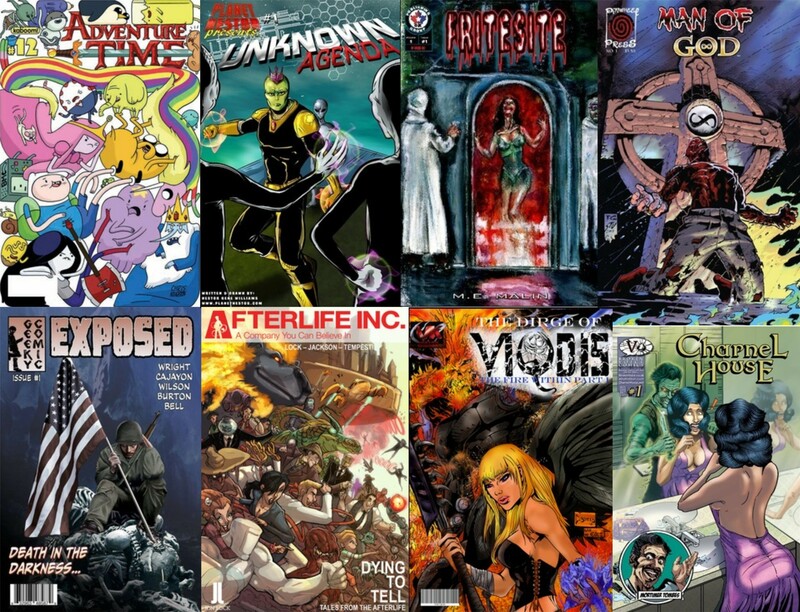 Witchblade, Savage Dragon, and Spawn being some nice examples. The cast of the live action series! Though for those of you who read this, I’d love to know who your ideal choices would be. 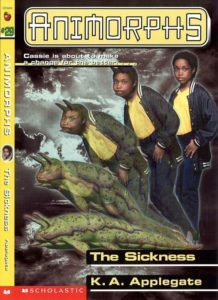 Heck since Scholastic was and likely still is re-publishing the Animorphs books with some changes here and there, they could use this as a prime opportunity to give the series the comic book treatment! Plus, with a comic, we could see other areas get explored. Like seeing more of the Andalites and what all they were up too while Jake and the gang were on Earth fighting the good fight. Maybe a comic continuation could happen that takes place after the final book’s ending. As from what I know of, Applegate did pretty much leave that open ended. If a continuation was to happen, I could easily see a story where the evil Crayak is possibly able to bring Rachel back from death and use her against Jake and the others provided they are still alive after their actions in the final book. Or to directly pit against Cassie who’s own morality and the like tended to go against some of Rachel’s mentalities as the series went on. Or possibly bringing David around and creating a whole new race of bloodthirsty warriors who can possibly also morph into various forms. 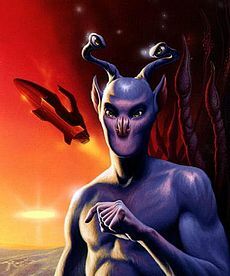 Another what if possibility would be that the Andalites decided to be more friendly and give the Yeerks morphing technology so that they could have given themselves a better body and not have to steal others. But then again, that would have likely made for less of a story. So what are your ideas? Think this would be something you’d like to see a comic, a new T.V. Series, or otherwise? Long live Elfangor! Older brother to Ax, father to Tobias! 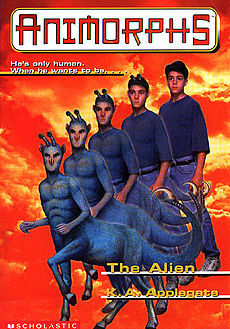 Tags: Aliens known as Andalites, and Ax the Andalite, Animorphs, Animorphs began in 1996!, Book series, Cassie the Kind, Elfangor granting 5 kids the power to morph into any animal they choose by absorbing a little of their DNA!, Evil Crayak!, Hork Bajir, Humans caught in the middle, Jake the Leader, K. A. Applegate, Marco the Jokester, Rachel the Warrior, Scholastic, The Cannabalistic Taxxons!, Tobias the Human Hawk, Yeerks, Yeerks are the kind of aliens you don't want near your brain!